The holidays are finally here, and you still haven’t gotten that special someone, friend, or relative a gift yet. Black Friday and Cyber Monday sales have ended, and time is drawing closer and closer to Christmas by the second. No need to panic, for here is a list of the best last minute Christmas presents. Gift cards: Is your friend into shopping, movies, or eating? Then stuffing their stocking or presenting them with a gift card is the perfect gift idea! Take them out shopping to Victoria’s Secret, Buckle, or Forever 21 for a warm sweater with the gift card you gave them. If they’re into movies, offer a gift card to Family Video or a ticket to the movies. Give them a gift card to their favorite restaurant; they’ll thank you later for the free meal. Candles: Who doesn’t want their home to smell like a fresh bakery product every day? Candles are easy to pick out, and they can make a huge difference in someone’s home and mood. Mason jars: No, not the actual mason jar. 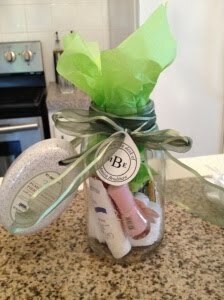 If you’re stumped on what to get someone for Christmas, search for a mason jar (or a gift bag) and put items of things that remind you of your loved one or something they would enjoy inside of it. These gifts are very sincere, and your loved one will appreciate your knowledge of them, plus the gift itself. Fuzziness: Fuzzy socks, fuzzy blankets, and fuzzy scarves are all options for presents. They aren’t expensive, and they’re super comfortable to wear and cuddle in. Winter is here and it’s the perfect time to pick up some fuzzy attire to keep your mom, dad, or sibling comfy. Books or journals: If your friend is into reading, pick up a book from Books-A-Million and surprise them with a book they’ve constantly been talking about, but haven’t had the chance to read. Is your friend into writing? Then give them a new journal or notebook to jot down their thoughts in. DVD’s or CD’s: Does your significant other not have Netflix? Do they own a car or CD player? Then DVD’s and CD’s are the perfect gifts for them! Cuddle up to them while watching Neighbors, 22 Jump Street, or The Giver, and jam out in the car with them to Iggy Azalea’s newest album, Reclassified or She & Him’s indie pop album, Classics. Perfume or cologne: These are always nice gifts to offer someone, and they are also a little on the fancy side. Impress your relative with their new set of perfume or cologne Christmas morning. Coffee mugs: If you’re looking for a cute, meaningful, do-it-yourself Christmas present, then buy a plain white mug and doodle on it. Draw cute pictures or write messages or funny puns on the mug so whenever your loved one drinks from it, they’ll have no choice but to laugh and smile at the mug you gave them. Food: If all else fails and it’s too late to go out and purchase anything, then present your loved one with food. It may not be a long-lasting gift, but it’s something that everyone loves and needs to survive. Candy and gum are great stocking stuffers, and baking homemade desserts for your loved one is the perfect treat. Perhaps buy a pack of Starbucks portion packs so they can sit by the fire and drink their decaf house blend. Hopefully, this list will give you some inspiration for fun and affordable last minute gifts. Your receiver will appreciate your thoughtfulness and especially their gift. From the Knight Writer staff, we wish you a safe and happy Christmas and New Year!